Then and now, dentures became the popular choice for people with missing teeth. The oral device helps patients gain back their once lost smiles and even allows them to enjoy it for long years. At Independent Dental Care, we provide both fixed and traditional dentures. Although these two might function similarly, their features and the procedures being used differ. For fixed dentures, dental implants are utilized to provide a more secure restoration. On the other hand, the process involved in traditional dentures is considered non-surgical. Furthermore, instead of using an implant, the oral device rely on grip and suction from the jawbone to keep it stabilized. What are the tips to effectively clean traditional dentures? Use warm instead of hot water to loosen stuck food debris on the oral device. Brushing the dentures with soft-bristled toothbrush must be done on a regular basis. Avoid using regular toothpaste as it is abrasive enough for the appliance. Brush it with soap or denture paste instead. Consider soaking your dentures in water with cleaning tablets to eliminate light stains from the oral device. 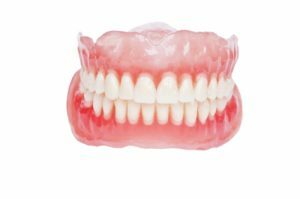 Is it necessary to replace dentures? Yes. Factors like bone loss and changes in the gum tissues lead to ill-fitting and loose dentures. If you notice some significant issues in the oral appliance, visit your dentist for adjustments or fabrication of new dentures. Is it okay to use bleach to whiten the oral device? Unfortunately, you cannot use bleach as it might be damaging for the dentures. For more information about Dentures in Fort Myers, FL, be sure to contact Independent Dental Care today. Our entire team looks forward to meeting you in person and helping you achieve the best possible dental health results.